Did you know that Central Park was one of the first public places created and that the park is a manmade creation designed by landscape architect Frederick Olmsted ? This park has been around for a while, design on the the park was actually stopped during the Civil War, then resumed after the war and and completed in 1873. The park happened to be a very popular place for professional photography. 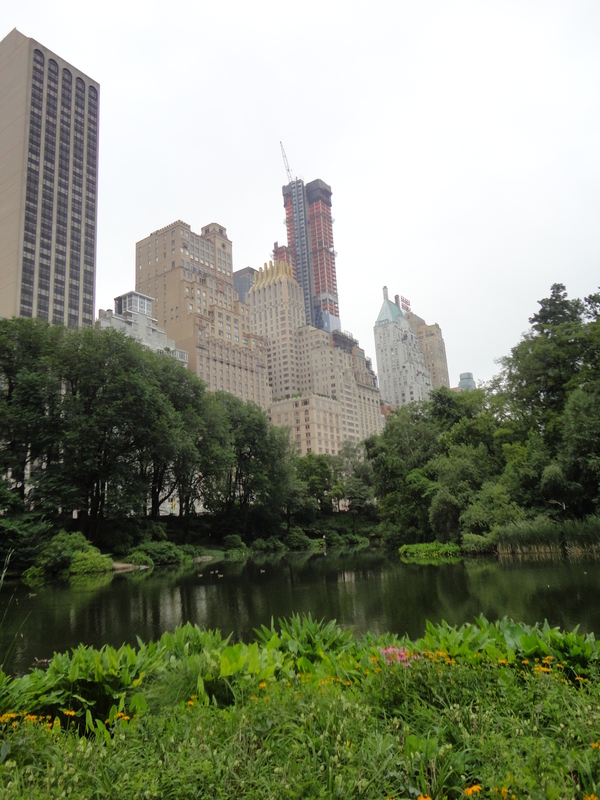 My daughter and I were visiting the beautiful city in July and we stopped at Central Park on our last day. We saw a model garbed in a wedding tux looking like he was ready to say “I do” and a young woman being filmed walking in a famous area under a lovely bridge. On our walk to and at the park we witnessed at a commercial where they actually stopped traffic in both directions. Central Park was designated a National Historic Landmark in 1962. While we enjoyed walking around the best part of our visit to the park was a tour as we sat in a rickshaw pulled by a bicycle, our guide, a transplanted Irishman shared the history of the city and pointed out all the important sites. He pointed out the fountain where the Friends cast cavorted in the opening. He pointed out important statues and historic sites and even the building where John Lennon was shot. The tour added insight that we would not have had and provided us the time to see sights we would not have seen without his tour. It was fun to hear about American history from a lilting Irish accent. New York was and is a true melting pot. We were honored to be one of the masses! . Well written post. Thumbs up!